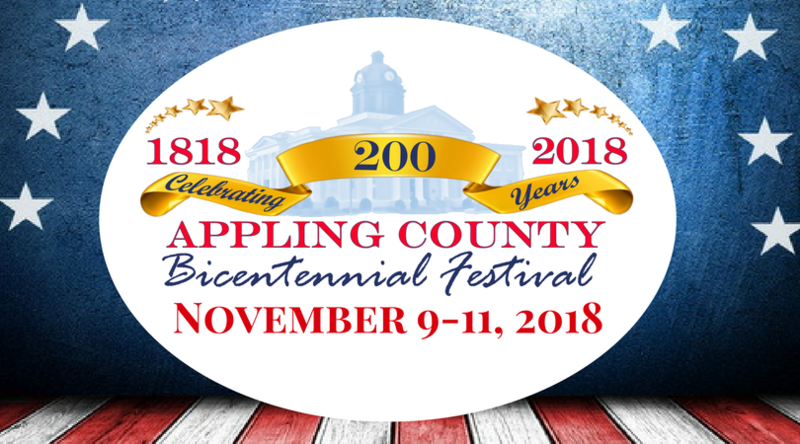 Appling County is very excited to turn 200 years old this year! We will be celebrating with a festival to be held on November 9-11, 2018. Chock-full of activities, the main event will be a concert featuring a top billboard artist. Please make plans to attend this once in a lifetime event. If you are interested in participating in the festival as a vendor, you may obtain a vendor application HERE. Vendor applications are subject to approval.